Questions require the student to enter the answer. Then, click OK to check. 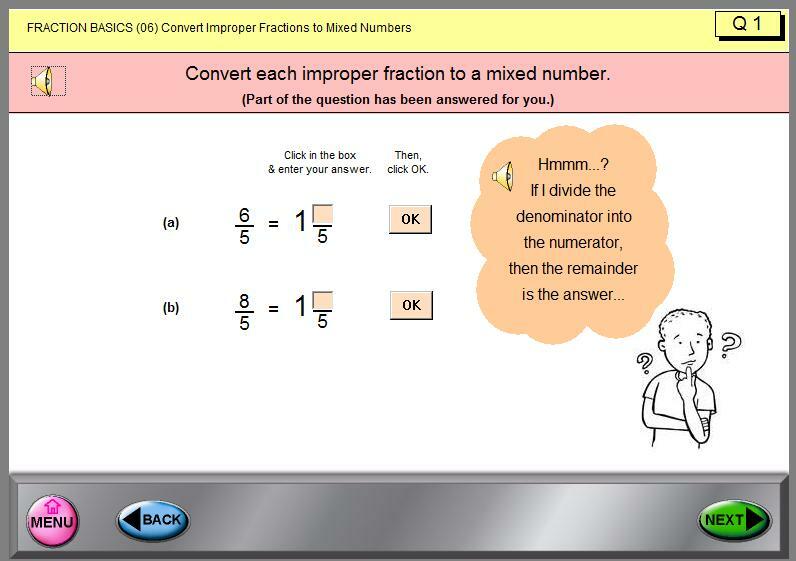 Home > MathMedia Education Bundles > Adult Education Bundles > ABE - Math > Basic Math > Program 1: Fractions > Questions require the student to enter the answer. An incorrect answer takes the student to the first steps of the solution. The student selects how many steps of the solution to view.